Some towns don’t change. This can be a bad thing as some towns seem to be dying a slow, painful death, stuck somewhere in a past time and unable to move forward. 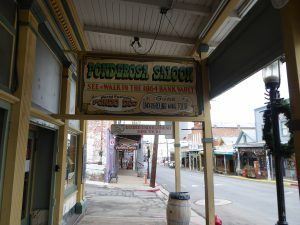 Virginia City, Nevada hasn’t changed much since the Comstock Lode discovery in 1859. However, in this case, being stuck somewhere in time is a good thing. 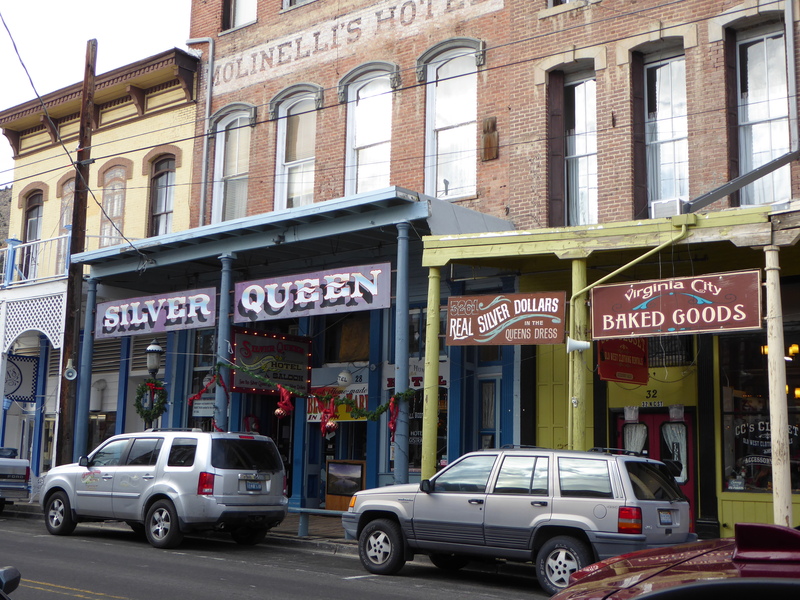 Virginia City celebrates the Old West town where silver was discovered. 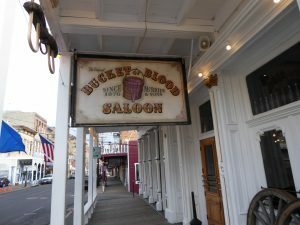 Virginia City put Nevada on the map and is a great place to visit and explore a Western boomtown. 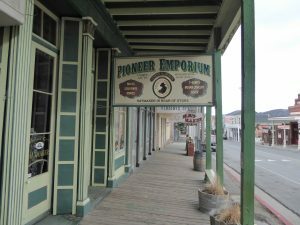 On a visit to Virginia City, you may run into a gunslinger while walking down the Main Street boardwalk. Maybe you’ll see a high-stakes gambler on his way to try the infamous Suicide Table where gamblers lost fortunes and reportedly took their lives because of a bad poker hand. Old West charm and lore is found everywhere in this quiet mountain town that had a tumultuous and storied history. We call it Cowboy Town. 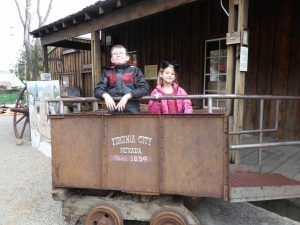 We used to live in Northern Nevada and made several trips to Virginia City. Our young son loved the town, but unable to pronounce the name Virginia, simply called it Cowboy Town. 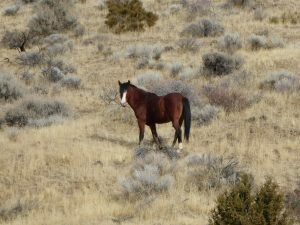 Virginia City remains one of his favorite places. 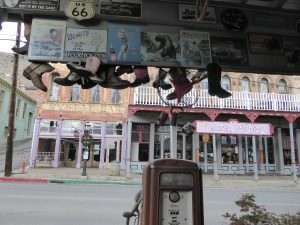 We recently traveled back to the area to visit family and took time to take another stroll through the streets, restaurants, museums and stores of Cowboy Town. Men made their fortunes when the first silver was found in 1859. 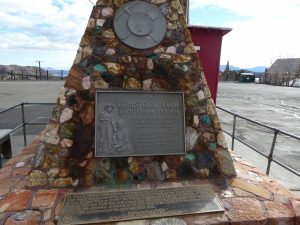 The silver deposits were so rich that President Abraham Lincoln desired the town’s riches to fund the Union forces in the U.S. Civil War and established the state of Nevada in 1864. The lure of riches brought miners, businessmen, courtesans, and saloon keepers to the town. Even a young Mark Twain made his way to the wild town, working for a short time at the Territorial Enterprise newspaper until he was driven out of town before a gun duel with a rival news editor. Today, the town has preserved and celebrates this history with museums and trolley tours, The town attracts tourist from around the world with its history, and with many festivals and parades held throughout the year. 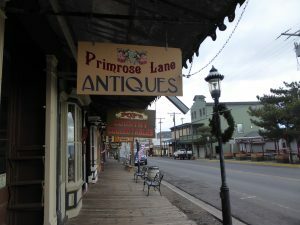 One of my favorite things to do in Virginia City is to walk along Main Street. Along the way, you’ll see the boardwalk pathway (be careful where you walk because the walkway is not flat or even). You get a good feel for what the town would have looked and felt like during its heyday. Today, the streets are lined with restaurants, shops, and saloons with casino games and slot machines. During the weekends and throughout the summer, residents dress in period costumes and walk the streets, giving you a real feel for the days of yore. 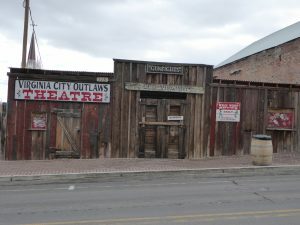 Along Main Street, you can get an antique style photo taken (yes, you even dress in period garb), see a staged gunfight in an outdoor theater, or go on an underground mine tour (yep, some of the mine trails are right below the town). 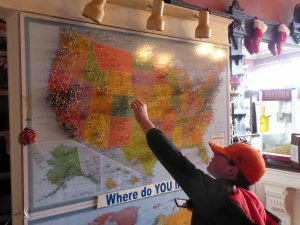 If that is not enough, you can purchase homemade fudge, buy hard candy or salt-water taffy by the pound, and visit the visitors center where you can add a pin to the map showing your hometown. 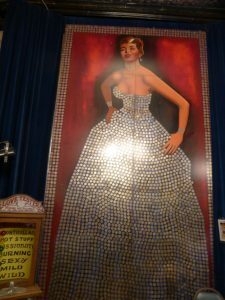 You can still pony up to the bar, try your hand at a poker table, or see the Silver Lady, a portrait which contains 3,261 silver dollars in the the lady’s dress. Portrait inside the Silver Queen includes over 3,000 silver dollars. Those adventurous enough can get married in a chapel, or spend the night at one of the town’s famed haunted hotels. 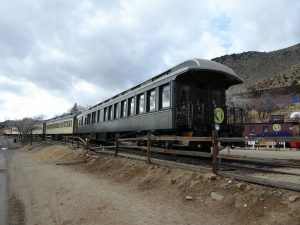 Just off Main Street, you can see Piper’s Opera House which showcased many international stars throughout its years, tour the Chollar Mine, step inside St. Mary’s in the Mountains Catholic Church (one of the most photographed sites in town), or ride on the restored Virginia and Truckee Railroad. This is a mountain town, so walks up and down streets can be steep and those unused to the higher elevation may get winded. However, the sites and adventures are well worth the walk for those who are able to make the journey. One of the more popular attractions in town is the trolley tour. The trolley offers a 20-minute tour through town with plenty of information and lore about the silver-mining days. 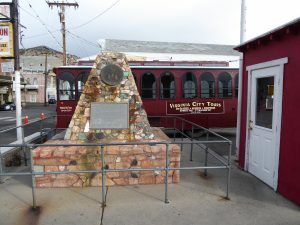 On the trolley, you will learn about the Great Fire of 1875 that decimated the town, the tales of newspaper reporter Mark Twain, the stories about the life and death of famed prostitute Julia Bulette, and tales of those who made their millions or lost their lives in the mines and on the streets of Virginia City. On our visit, we were the only riders so we got our own personal tour of the town. Make sure you have cash on hand as credit cards are not accepted on the trolley tour. There are many museums throughout town. One of the most all-encompassing of these museums is The Way It Was Museum. 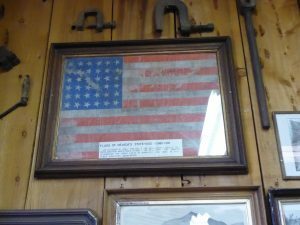 Here, you will see a wide array and collection of memorabilia sharing the story of the Comstock Lode and the history of town. 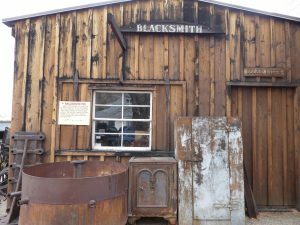 The Way It Was Museum has memorabilia and artifacts of the Comstock Lode. 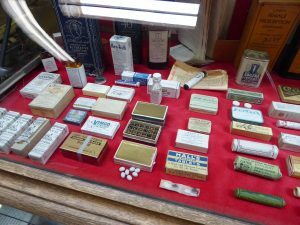 You will find everything from dentist chairs and talcum powders to billiard table licenses and Comstock ore. We spent an hour at the museum, and could easily have spent more time exploring the artifacts throughout the museum and grounds. Admission to The Way It Was Museum is inexpensive, and children visit for free with a paid adult admission. 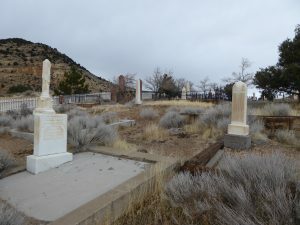 I have been to Virginia City many times, but I have never been to the town cemeteries. On this trip, we went to the Silver Terrace Cemetery. Preservation efforts are under way to restore and preserve the cemetery. You can search on online directory for those who are buried at this and other nearby cemeteries. Psst. There are rumors that this cemetery is haunted. We may never know because the grounds are closed at sundown and cameras record living trespassers of the burial grounds. 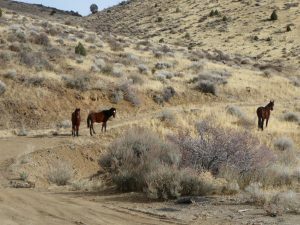 You often find groups of wild horses roaming in or near Virginia City. We saw the horses’ droppings at the cemetery but did not see them in town. Our trip was nearly at an end when we spotted the beasts outside town in nearby Silver City. What better way to honor the rich history of the Old West than seeing these symbols of a bygone era that is still alive in vibrant Virginia City. 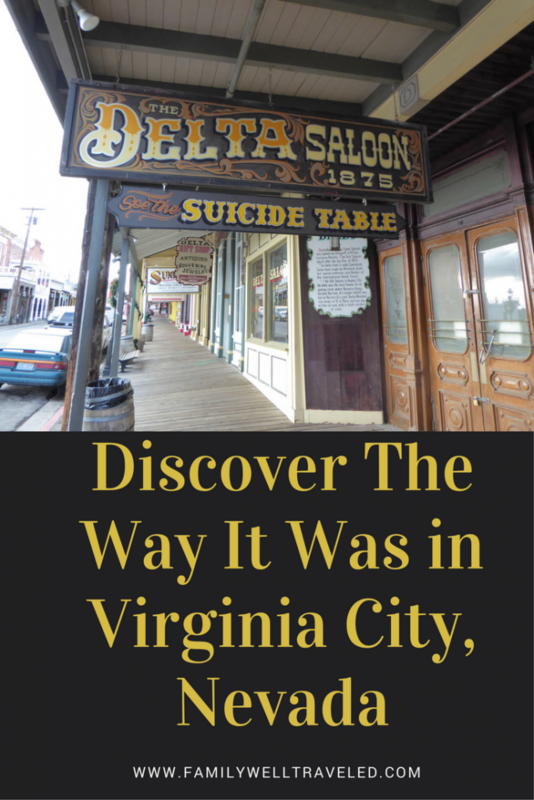 Virginia City is about a 1-hour drive from the Reno-Tahoe International Airport. The drive to the mountain town includes steep-elevation climbs with many switchback curves. The road can be slick during winter, but the scenic overlooks of downtown Reno and the Sierra Nevada mountains are breathtaking. Virginia City also is about a 1-hour drive from Lake Tahoe. Read more about our visit to Lake Tahoe here. 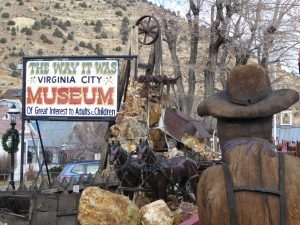 Buffalo Bill Cody visited Virginia City and you can read about the Buffalo Bill Museum and Grave. Lake Tahoe is a short drive from Virginia City. Read about a Winter’s Trip to Sand Harbor, Lake Tahoe. Disclaimer: Family Well Traveled received reduced or complimentary admission to some of the attractions in this post. We would like to thank RAD Strategies Inc., the Virginia City Visitors Convention, and The Way It Was Museum for their help. Although we received complementary admission, all opinions expressed are honest and our own. Yes, it is authentic. Most of the buildings were built in the 1800s (although the great fire of 1875 did destroy most of the original structures). I’ve been to Nevada several times but never to Virginia City. It really exudes the feeling of the wild west. My kids would love to visit The Way It Was Museum. You will want to check the calendar for special events, too. Our kids loved going to the parades, especially the 4th of July parade. That’s impressive, it is the real charming west town, not the replica! I have not heard of this, but after reading your post it may be worth to check out. I need to add this when I’m planning my road trip round the US. I love cowboy towns – it’s great that it’s so well preserved and that the locals dress up in period costumes. 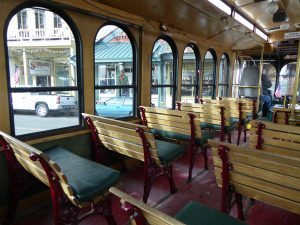 Hopping onto a trolley tour sounds a great way to learn about the town’s history and the mining days. I’ve still yet to try salt water taffy! There are some great candy stores in town. Nice. This is like a journey to the past. Like this kind of museums. This looks like a fun adventure. My husband would love it. You mentioned that locals dress up, are there really locals? Do they actually live in the town? Yes, it is still a town with residents. And, yes, there are some residents from Virginia City and other nearby towns that will dress up and stroll through town, especially during the summer or during parades. What a quaint town! It looks like it’s full of history with lots of different sights to explore, definitely wouldn’t have expected it at all! Would love to see this someday, thank you for sharing! It’s so funny, the whole city looks like one of these outdoorsy museums 😀 Very nice and interesting – especially for the kids, I guess – what it used to be. I’m very impressed by the Silver Lady and her 3,261 dollars in ther dress; guess you don’t get it at Target?! Mope, you own’t find her at Target. She’s one of a kind. Thanks. It’s worth a visit. There are many such Wild Wild West towns. It is sad that the photos show how abandoned they have really been. Love that silver dollar dress though! Wow! 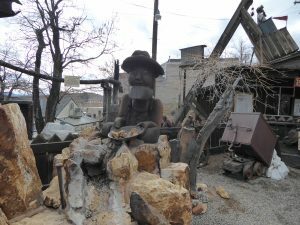 It looks like you really are visiting a museum but that is how the locals live in here in Virginia city . It really looked like a wild west town. I am really amazed with this post of yours! So informative and I thank you for sharing! The kids enjoyed putting a pin in their hometown. Wow! Adding this if we are visiting US the next time. Always fascinated by the Wild Wild West environments and Cow Boy towns. Thank you for sharing! What an incredible experience this must have been! I love the Old Wild West and Cow Boy Towns. Everything looks so well preserved. I would love to see the people dress up on weekends! This is something we would truly love to do… Hopefully one day America. hope you get the opportunity to visit sometime. This looks like such a fun place to visit – especially with kids! Did you feel like the town was super touristy, or was it manageable? It looked pretty quiet in your pictures. Definitely something to keep in mind for future road trips! We went after the first of the year during mid-week, so it was off-season and not too busy. It does get more crowded during summer. While there are some touristy things to do, I’ve always felt that those who live and work there are very genuine. i love that they keep the history and style alive – those old saloons look awesome! And I love the tram ride idea, I love to ride that! It’s a fun town, and the ride was enjoyable and informative. 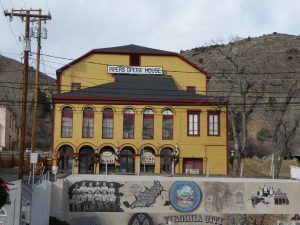 Virginia City is such a cool little town to visit! We lived near Reno for a while and used to bring family and friends out there. We called it the town that time forgot. Haven’t been there in ages! Great post! We’d take out-of-towners, too, when we lived in the region. Thanks. What a fun looking town! I’m from the state of Virginia, so we have lots of towns that look like they’re stuck in a colonial-era time warp, and I love that! It’s so cool that my state’s namesake in Nevada is the same way, but Wild West Style! I’ve never been to Nevada, but I love all things “wild West,” so this will definitely be on my list whenever I make it out there. It is a fun town. And I love the colonial era in the East Coast states. Your boy is right, this even reminds me of cow boy town. I have not been, but it is a good thing that it’s hasnt changed, sometimes it make you realise how things have changed drastically over time. 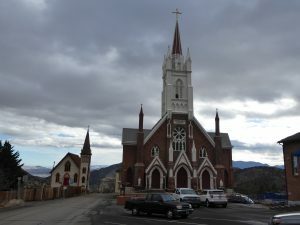 It is nice to have locations like Virginia City where history can be made alive. As a German, I don’t really know much about the US and love reading these kind of pieces. Thanks for showing me a place that I have never travelled and to and for awakening my interest in going there. Thank you. Hope you get to visit some day.